Backed by years of expertise into tax planning and implementation, UnitedVAT is your most sought after partner for Excise TAX Management. Looking for full-fledged assistance on Excise Tax planning and management? Excise Tax is a kind of tax that is generally levied on luxury items or goods those are found to be harmful to humans or to the environment. The items covered under this category include tobacco, tobacco products, energy drinks and carbonated beverages etc. The Registration for Excise Tax in the UAE has started from 17th September 2017. 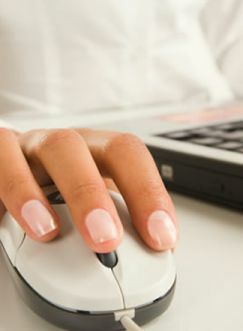 All Taxable entities are entitled to register for Excise tax through the FTA’s online portal. The Excise Tax Federal Decree-Law No. (7) of 2017 in the UAE shall be effective from 1st October 2017. If the businesses in the taxable sectors are not registered latest by the end of the year 2017, there will be a penalty under the relevant provisions of the Act. To discourage the consumption of goods considered harmful to health or the environment. What is the method of collecting Excise Tax? There are two methods of charging Excise Tax on goods. At specific rate on the quantity. In this case, excise taxes are charged by quantity irrespective of price, i.e., per unit, pack, or kilogram. At ad valorem basis. 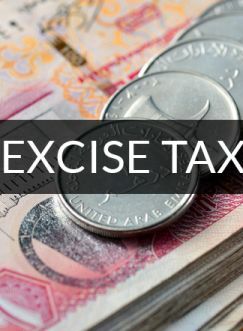 In this case, excise taxes are charged as a percentage of the value of the product: Eg:If 100 kg of taxable products is sold @ AED 100/kg and if the tax rate is 50%, the excise tax will be AED 5,000 [ 100kgX AED 100/ X 50%]. When will excise tax be charged? As it is charged usually when the products are out for consumption, the Excise Tax is collected from the producer, manufacturer or importer of the selective goods to the extent that they are released for consumption. In some cases, the Excise Tax is refunded to avert situations where Excise Tax is collected double in one supply chain. (e.g., Excise Tax will be due on both the import of raw tobacco and once the tobacco has been manufactured into cigarettes). What are the main features of Excise Tax? Excise Tax is a tax on consumption and levied on specific goods only.It is a single - phased tax, levied once at import or at production stage within the country.It is collected by businesses on behalf of the Tax Authority. Excise tax is reported on a self - assessment basis, i.e. businesses submit Excise Tax returns periodically to the Tax Authority.As a consumption tax, Excise Tax is ultimately borne by the final consumers, but collected earlier in the supply chain. Importers, manufacturers and in certain cases other agents in the supply chain are liable to register for Excise Tax, submit periodical returns, pay the Excise Tax due to the local authorities and maintain specific Excise Tax records.